Brackets have been filled out and March Madness starts today. Now I have to admit, that even though I filled out a bracket for my local radio station's contest, I don't really have that much of a vested interest in this year's NCAA Basketball Tournament. My beloved Cyclones didn't make it this year as the team suffered several injuries and the team in general was young. 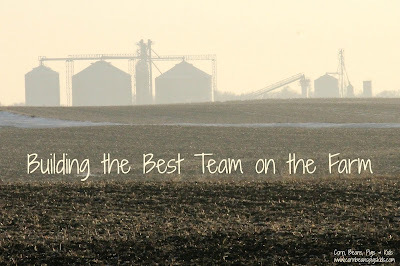 But just as Coach Prohm is building his team for next year so they can reach their goal of making it to next year's conference, on the farm we are constantly building our team so we can be successful. We have a few agronomists on our team. They come from the seed companies we work with, extension and our local farmer cooperatives. We turn to them to keep us up to date on corn and soybean genetics, they help us analyze our soils, and they assist us with scouting during the plant season so we can identify weed and insect problems, as well as find solutions for those issues. One of my husband's tasks on our farm is daily animal care for our pigs. He works hard to keep them healthy by keeping them in a comfortable environment and giving them proper nutrition. And even though animal care is one of his top priorities, the pigs still sometimes get sick. When this happens, we work closely with our local veterinarian. We talk with our vet over the phone and they will come and walk through the barns if necessary to make a diagnosis and suggest treatment as needed. To ensure a proper diet, we work with nutritionists at one of our local farmer cooperatives to make sure our pigs are getting balanced feed rations for their specific stage of growth and age. They combine corn, soybean meal, DDGS (dried distiller's grains - a byproduct from ethanol), vitamins and minerals to make a specific feed best suited for our pigs. Our banker, accountant, and market adviser would be the point guards on our team. We count on all of these individuals for advice, insight and protection for the financial and marketing decisions we make. 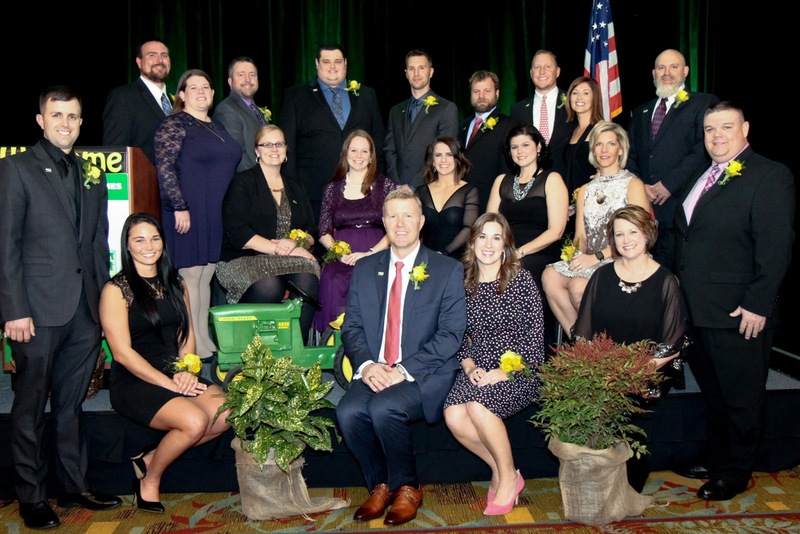 Farming takes a lot of capital, so we have entrusted relationships with these individuals to help us make farming a reality. The farming community is very close-knit and My Farmer and I love and value networking with other farmers. 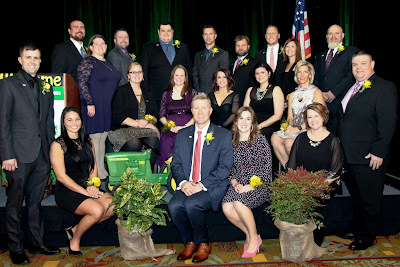 Last month we met farmers from all across the United States through the Outstanding Farmers of America organization. We were able to learn from each other and benefit from each other's experiences and practices. Even though all of our farms looked different, we could relate with each other and provide help and understanding. 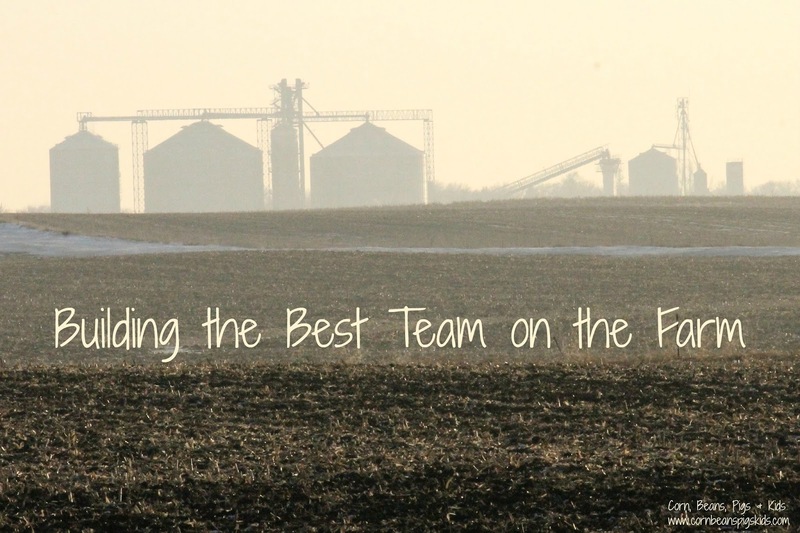 Farming takes a team and we're fortunate to have such great players on ours. No matter if you're a farmer, a Mom, a teacher, etc. building relationships with others can be a benefit for you and help you succeed. Who is on your team? Remember to Comment for a Cause. My family is my team! We are dealing with health issues for our 92 yo mother and I depend on the others to support me in the decisions I make for her. I'm glad that you have your family to support you and be on your team! It does take a village, as they say! It is so interesting reading a little about the behind the scenes action. There is always so much to consider. Yes it does. I'm glad you enjoyed getting the behind the scenes look. Our team is similar & definitely includes our 24/7 tech support at AMS Galaxy for those few times Rita the robot decides to have an issue! Definitely. We have a alarm system for our pig barns that is great too. Just last night we had a curtain not working properly so it go too cold in the barns. Our alarm system alerted us about it and we were able to get it fixed in the middle of the night, rather than discovering it in the morning during chores.